I-74 to Batesville exit, 129 south to L on Estelle Rd. First home on left. Craftsmanship & quality shine in this heritage log cabin. Eat-in kit, Swanstone countertop w/breakfast bar, beam ceilings thruout. Breathtaking views from every angle. 5 bdrms 1st flr mstr w/w-out to deck. Fin LL w/add'l bdrm, full bth, office & strg area. 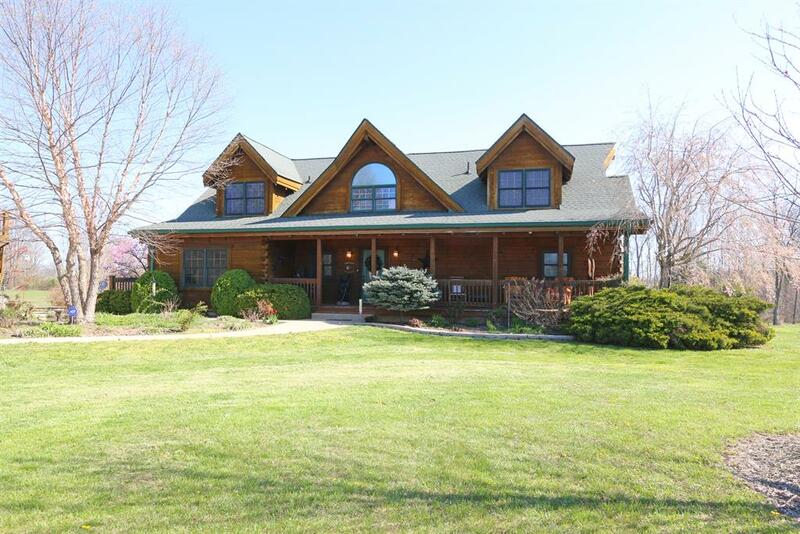 Wrap around deck overlooks 3/4 ac stocked pond on 6+ ac. 1st flr laundry.